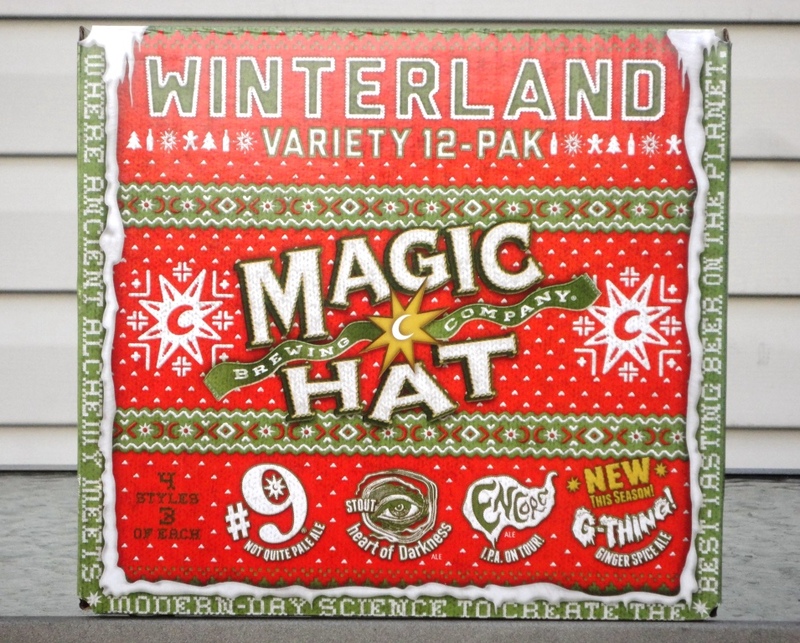 During this week’s polar vortex and the coldest temperatures in the DMV since 1996, I stayed warm with Magic Hat’s Winterland Variety 12-Pak. Encore, an American Wheat IPA, this nicely-hopped brew is a blend of an American wheat beer and a traditional India Pale Ale (6.4%). Heart of Darkness, a smooth Stout (5.7%). G-Thing!, a Ginger Spice Ale that tastes of gingerbread cookies (5.7%). The hoppy Encore is reason enough to buy this 12-pack, but I was also happy to try a new winter seasonal, G-Thing! I love Magic Hat’s stories about their beers. According to this wacky brewery, G-Thing! took shape from the wild ideas of the mind. He was brewed to life and grew to great heights by belief alone. G-Thing! wanders winter landscapes, leaving a trail of spice for those who seek its sweet reward. Believe in this thing. Make it so.